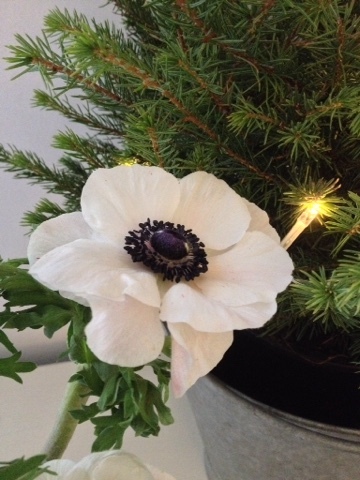 I hope you are well and enjoying December. The children and myself are getting so excited, and the house is in a constant state of glitter! 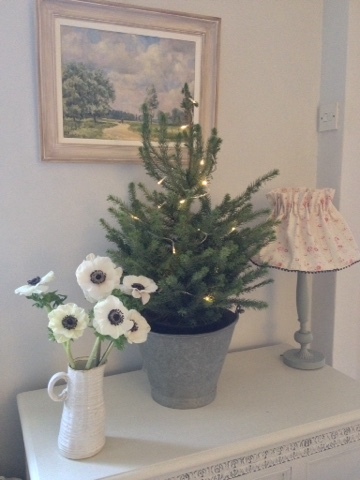 I've been busy decorating the house for Christmas, I've gone for lots of warm fairy lights with silver and white decorations, and thought it would be nice to keep Decembers STS quite simple with a hint of sparkle. 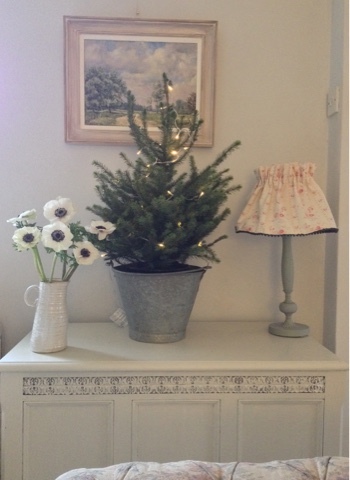 My little tree came from sainsburys, and the zinc bucket I got out of a vintage store. 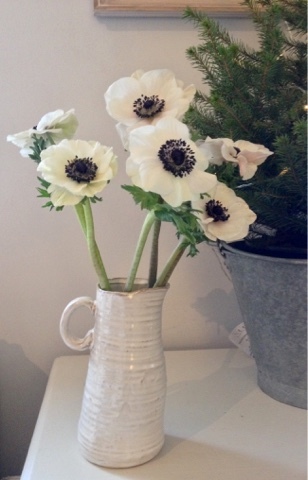 I saw this lovely jug along with the anemones at my wholesalers yesterday so decided to treat my home, I just love white anemones! 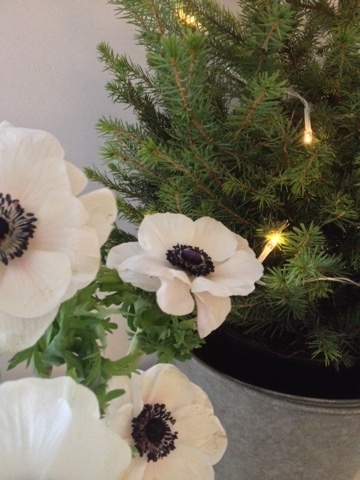 Styling the seasons is a monthly get together of people online, styling a surface in their home, anyone can join in by posting their pics to their blog or IG and using the hashtag #stylingtheseasons It's hosted by the lovely duo Charlotte of Lotts and Lots blog and Katy of Apartment Apothecary.